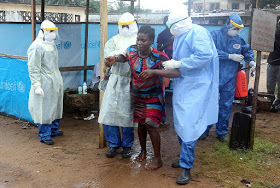 another round of Ebola outbreak in Nigeria. as well as the Aminu Kano International Airport, Kano. Democratic Republic of Congo recently. doctors at the airports to step up their activities. 0 Response to "Ebola Disease: Federal Government Starts Passenger Screening At Airports"